Join the Center for the Political Future for the second installment of our spring Political Conversation series with Frank Lavin in conversation with Center Co-Director Mike Murphy on "Populism, Trade Wars and the GOP’s New Foreign Policy." Lavin served as Under Secretary for International Trade at the U.S. Department of Commerce, 2005-2007. 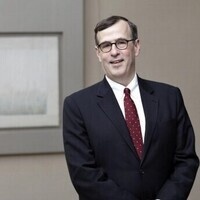 In that capacity, he served as lead U.S. trade negotiator for both China and India and was the senior policy official in the Commerce Department responsible for commercial policy, export promotion, and trade negotiations across the globe. He was U.S. Ambassador to the Republic of Singapore from 2001-05, where he helped negotiate the U.S.-Singapore Free Trade Agreement. Earlier in his career, Lavin served in the George H.W. Bush and Reagan Administrations, working in the Department of Commerce, Department of State, National Security Council, and White House. Lavin served as Director of the Office of Political Affairs in the White House 1987-89. See all photos at our Facebook album here. In case you missed it, watch the Facebook Live video here.